Since the Kronos Quartet first formed in 1973, the group has been one of contemporary classical music’s most acclaimed ensembles. Along the way they have toured the globe and played hundreds of venues — and founding member and artistic director David Harrington says the Chan Centre is among the very best. The centre is so beloved by artists that many return again and again, among them Mexican-American vocalist Lila Downs, banjo icon Béla Fleck, fado singer Mariza, Inuit throat singer Tanya Tagaq, and tabla master Zakir Hussain. “A hall is like an instrument — so you’re playing an instrument inside another instrument,” explains Harrington. Lila Downs agrees. 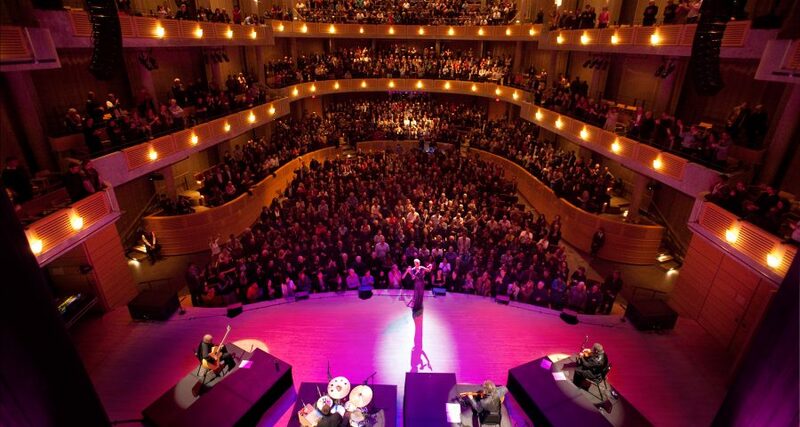 The renowned vocalist loves Chan Centre audiences, but she especially appreciates the atmosphere the hall’s design and acoustics create. Venues of the same calibre as the Chan Centre are rare, says Harrington, but he strongly believes they are essential.